Copyright, 1885, by Willis Woodward & Co. Sister and brother, we're left all alone. 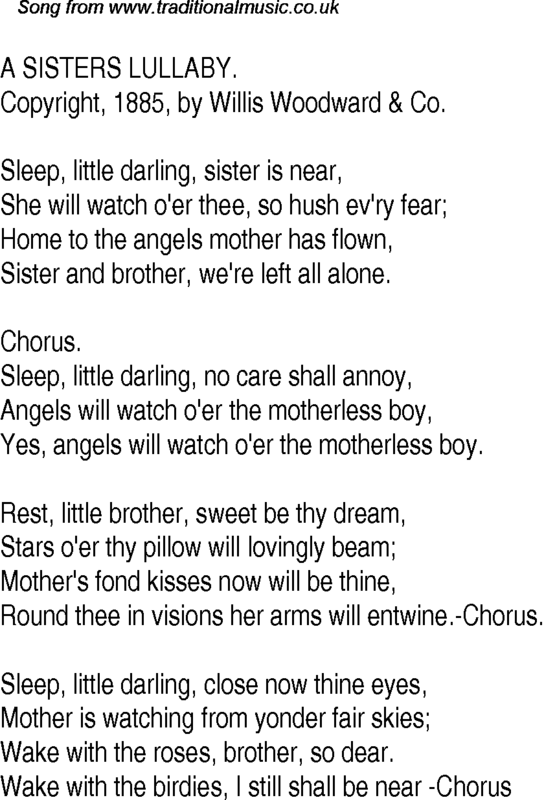 Yes, angels will watch o'er the motherless boy. Round thee in visions her arms will entwine.-Chorus. Wake with the roses, brother, so dear.